I don’t talk about any spoilers in this post, but spoilers are allowed in the comments! 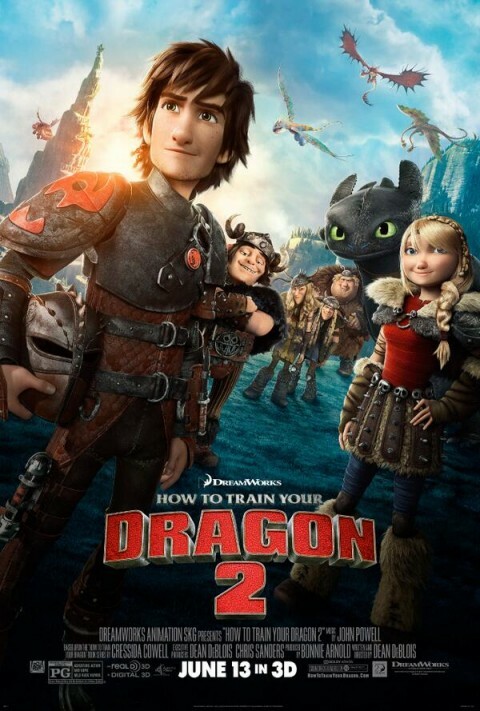 Since a few people have asked me already, I just saw How to Train Your Dragon 2, and I loved it. It is a wonderful expansion of the world and deftly sidesteps many of the pitfalls of a lot of sequels. It’s a darker film (befitting the characters’ age), bigger without being an assault on the senses, and gorgeous to look at (and listen to). I’ve said before that the first one is a “perfect” movie, inasmuch as any movie can be. I could nitpick about a few things (exposition-induced pacing issues in one scene, a clunky line in another, etc.) but there is so much done well — so much done perfectly, really — that I really feel like I need to see it again to solidify my opinions about it. In any event, this second film in the series was an intense, emotional, and action-packed adventure movie featuring characters many of you already love. What the hell are you waiting for? If you’ve seen it, tell me what you thought below! But be warned: spoilers are 100% okay below.